Weeee..... 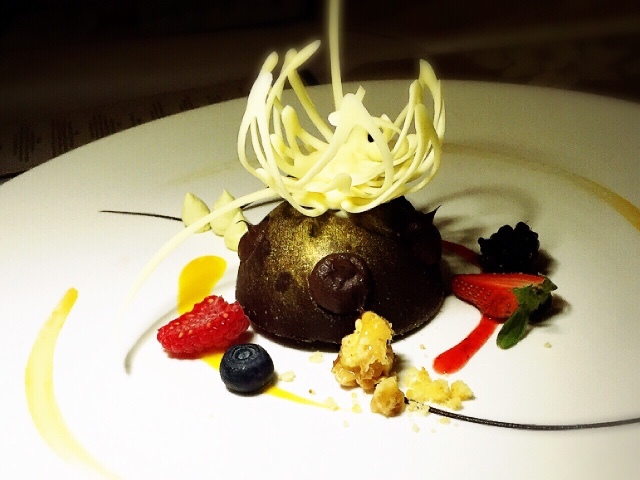 The luxury of dining under the sky is now available in Melaka. 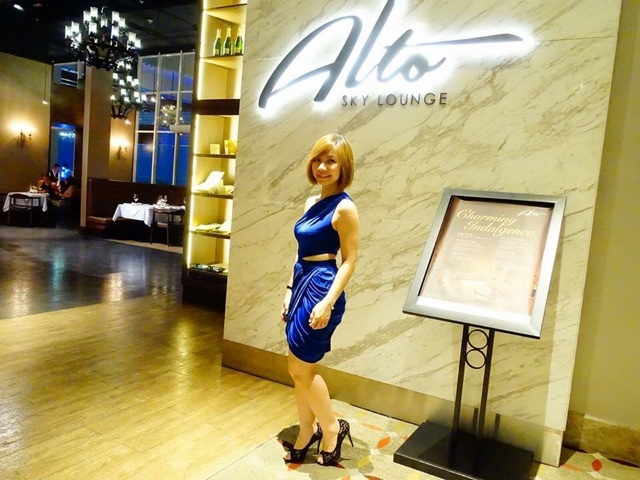 Alto Sky Lounge located on the 22nd floor of Hatten Hotel offer lip smacking good foods with a breathtaking spectacular view of Melaka's coastal township. 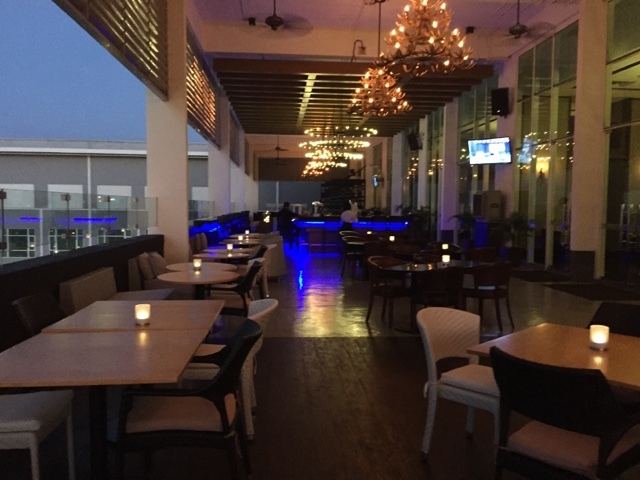 Alto Sky Lounge is the perfect venue for mixing business with pleasure with its polished designed and upscale ambience. 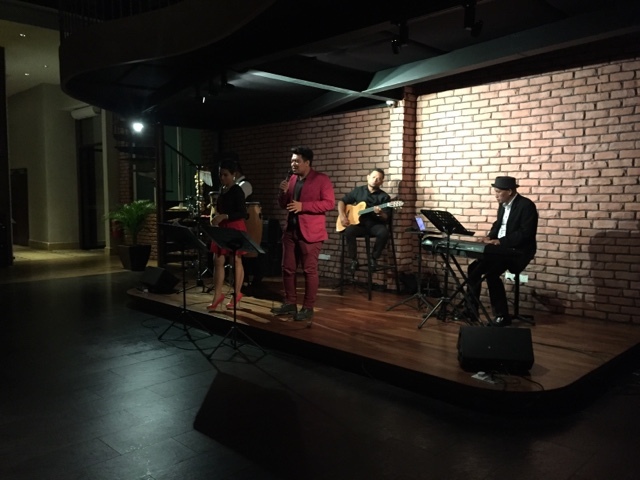 The live band performance entertained diners with awesome music. 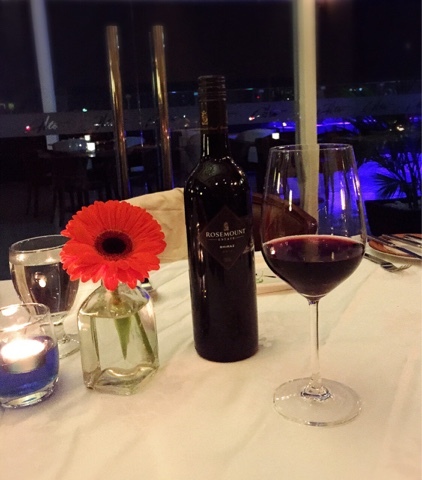 We kick-started our evening with Rosemount Shiraz, a deep purple red wine with berry fruit character. 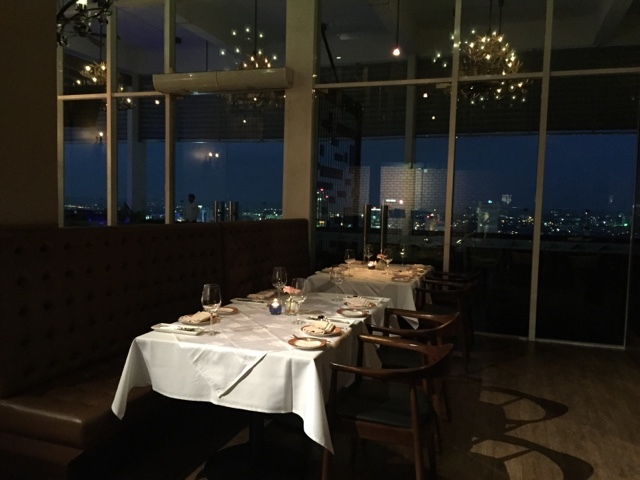 Alto's has an extensive selection of fine wine, liquor and deftly crafted cocktails. 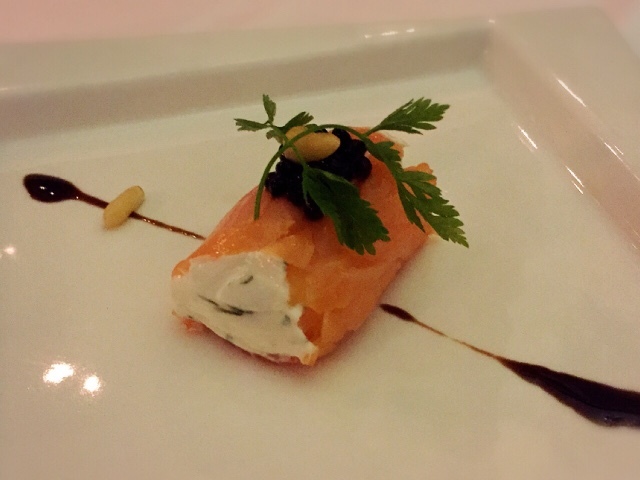 The amazing smoked salmon roulade wrapped in an abundance of cream cheese with lemon herbs boursin and balsamic pears literary melts in my mouth, just marvellous. 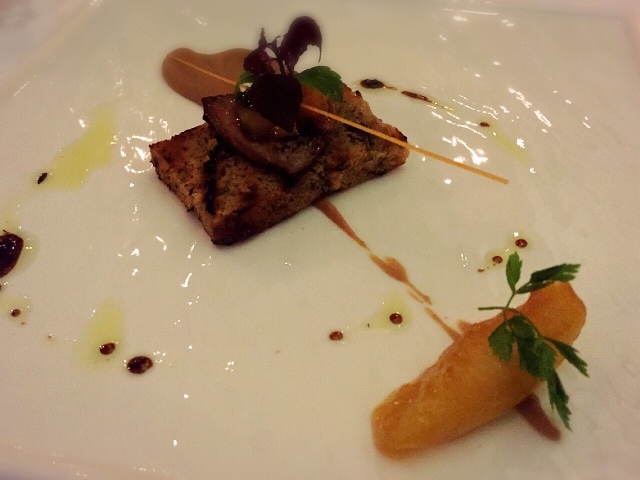 The foie gras was heavenly, firm yet creamy with enhanced green apple caramelized and truffle balsamic vinaigrette. 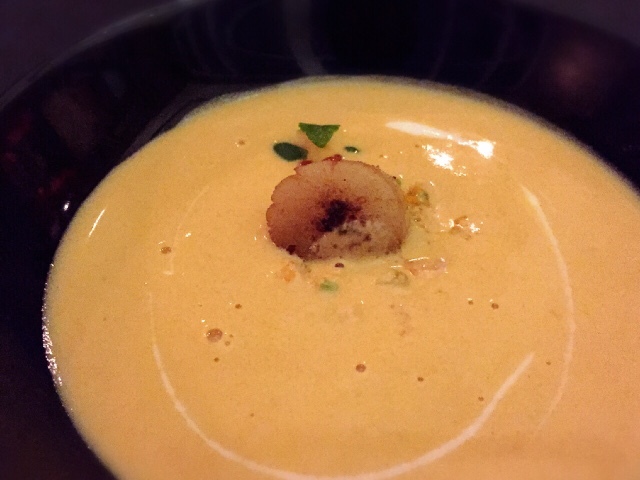 The rich coconut cream Royal seafood soup has all the flavour elements with a scallop, salmon roe and yogurt. 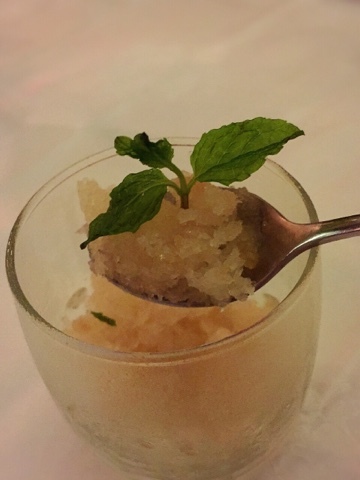 Palate-cleansing with this refreshing sourish sorbet. 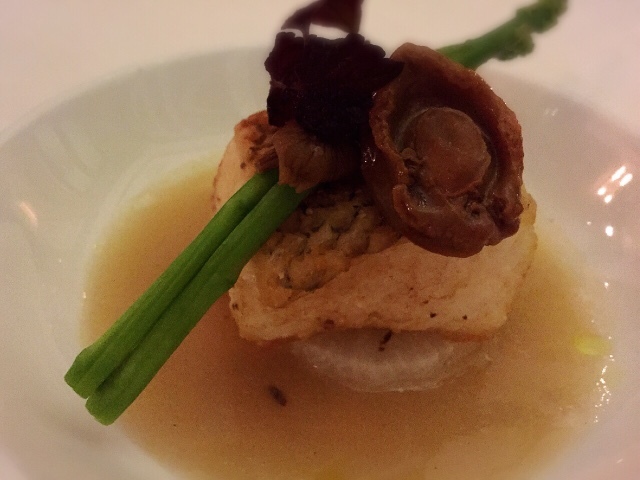 Perfectly seared succulent black cod topped with braised daikon with truffle abalone consomme, baby abalone, tea tree mushroom and asparagus. One of the best dishes of the evening. 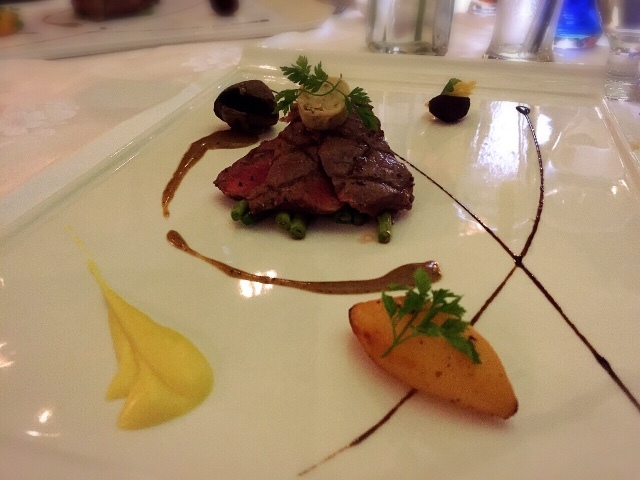 A real masterpiece beautifully presented with saffron cauliflower puree, baby French beans, pickled beetroot and cheese crackers. 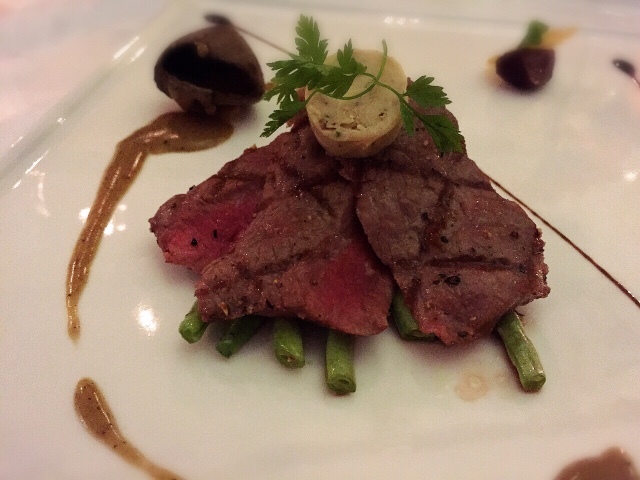 Simply adores the mouth-watering juicy and tender char-grilled Wagyu ribeyes fillet. 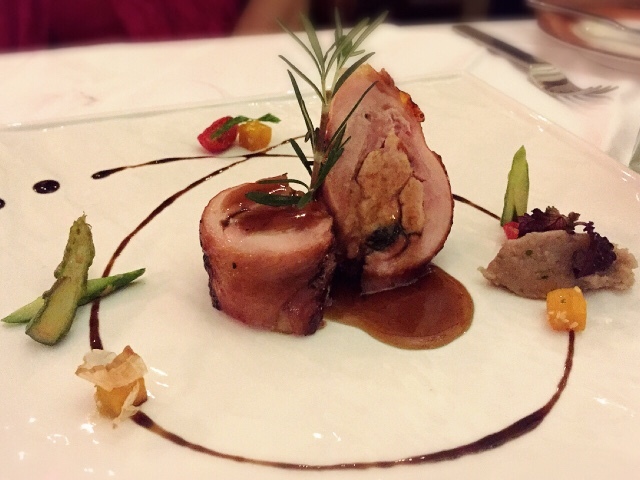 The tasty lemon grass chicken stuffed with chestnuts prawn, potato skordalia, asparagus spear, sesame pumpkin, dried cherry tomato and alla braces sauce. Love the flavour and texture combination. 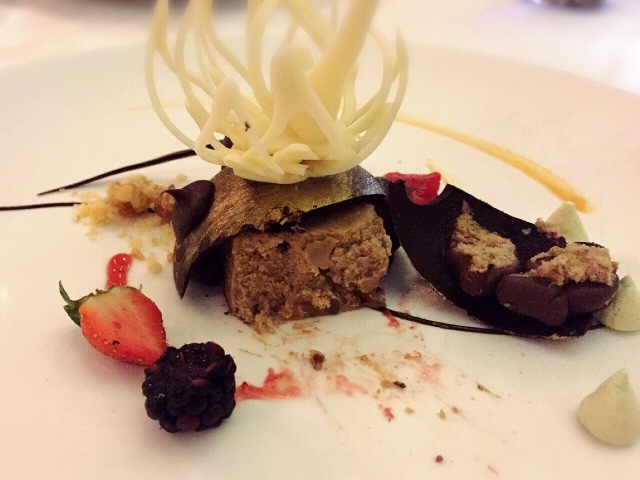 What a stunning finale to end our meal, we are presented with the lovely Royale Coffee Walnut Cheesecake with caramel sauce, pandan meringue & colourful summer berries. Food tastes as good as it looks, the cheesecake is smooth yet intense. 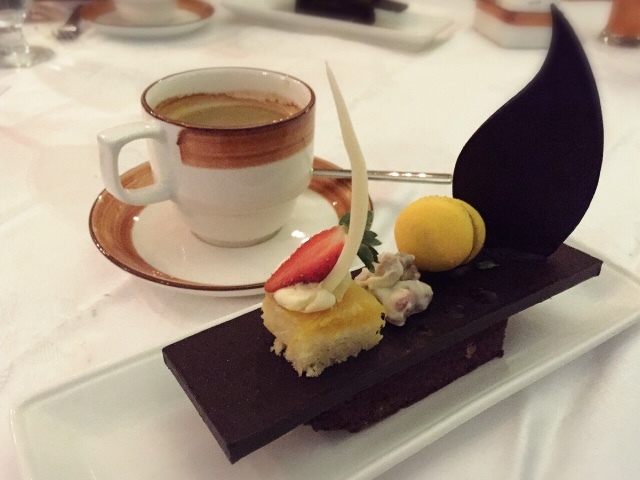 Our meal then ended with a selection of coffee or tea served with the heavenly Petit Four consist of cheese cake, walnut crisps and macaroon on a thick slice of chocolate bar with a slice of chocolate cake beneath.